Star Wars is forever, and apparently so will debate about The Last Jedi be. But with the arrival of Rian Johnson's film on digital, Bluray and DVD in a couple of weeks, it gives us the opportunity for more insight into the director's thinking about the controversial decisions he made. 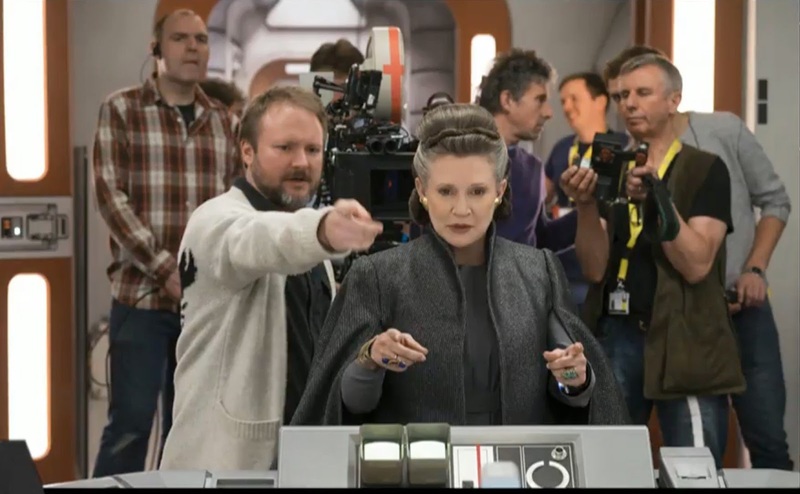 Included in the bonus features if the documentary The Director and the Jedi, offering a behind the scenes look at the making of The Last Jedi. Directed by Anthony Wonke, the film captures a number of intimate moments on set between Johnson, John Boyega, Daisy Ridley, the late Carrie Fisher, and most notably Mark Hamill, whose feelings about the direction taken with Luke Skywalker have been quite public. It sure looks like things between them went okay, but maybe the film will provide a more complete look at their working relationship. Check out the trailer below and see the whole thing by purchasing Star Wars: The Last Jedi digitally now or on Bluray/DVD on March 27th.